So I realize my consistency ran off BUT I have a valid reasoning to this. 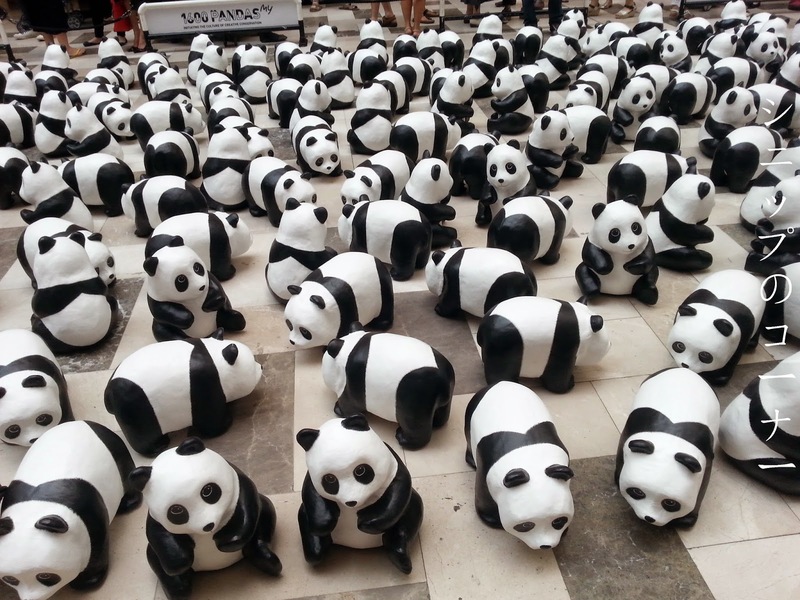 You see, the pandas were in town! I am presenting you lots of pictures okay, just bear with me. Disclaimer: No phones were harmed in the production of this picture, just worried hearts. 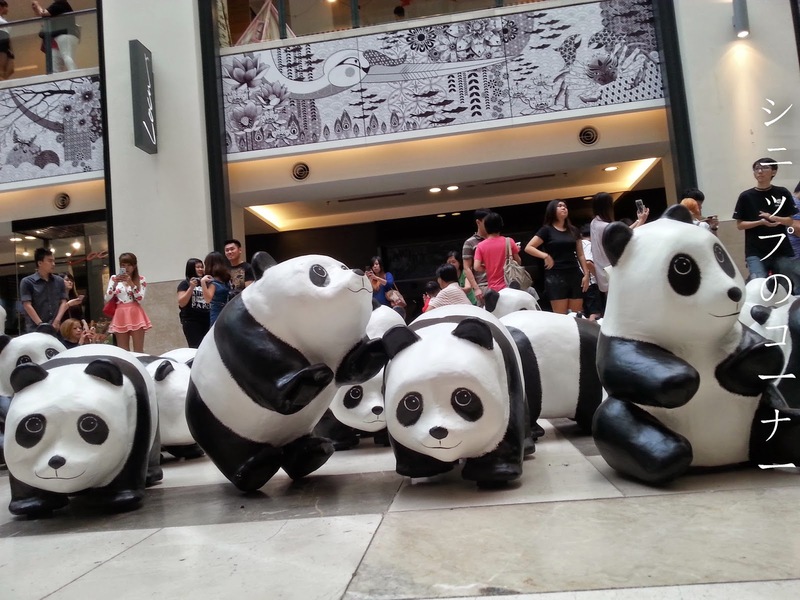 Yes, you're looking at several of the 1,600 pandas that's on display at Publika, Solaris Dutamas from the 13th to 25th January 2015, an initiative by WWF Malaysia and several other generous sponsors that brings on the awareness of the soon-to-be extinct pandas in the wild. 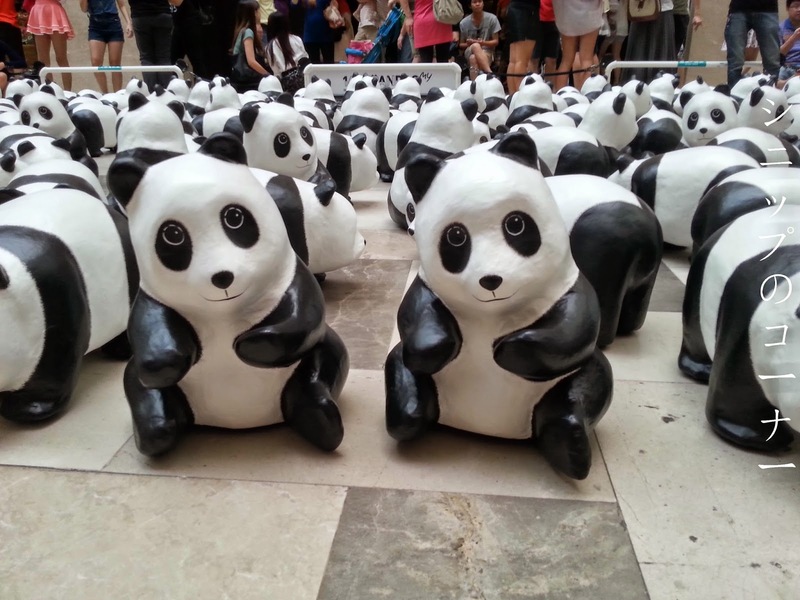 In fact they had found that in the year 2004, only about 1,600 wild pandas are still around...thus the number of pandas that are going around on a flash mob activity. I swear that they are what they are: Just tons of adorable innocence all rolled into one! 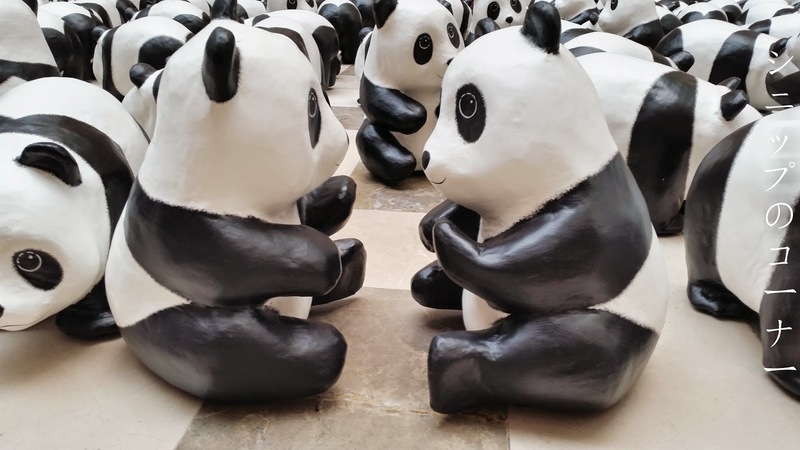 I guess not a lot of people know it but aside to a loving for elephants, I also have soft spots for big animals like the orang utan and pandas, making it just about right for me to be in love with this exhibition. 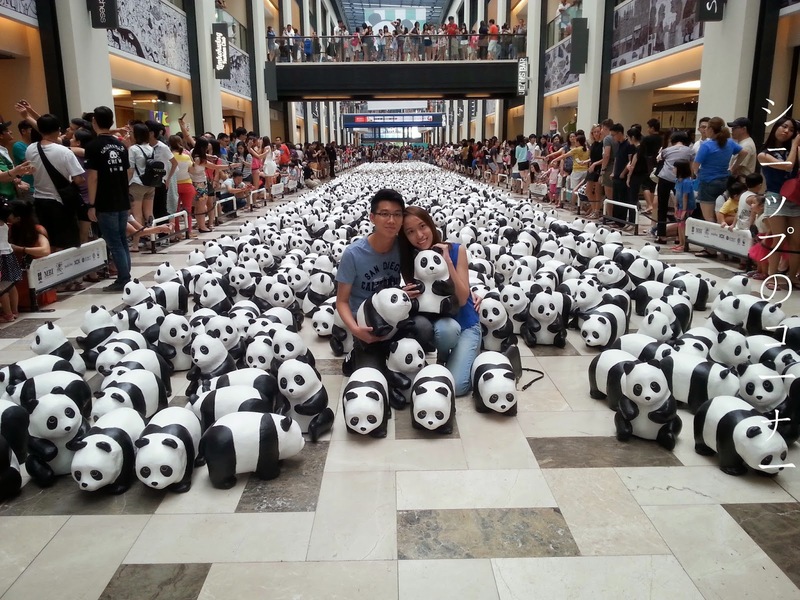 1,601 pandas, if you catch my drift. 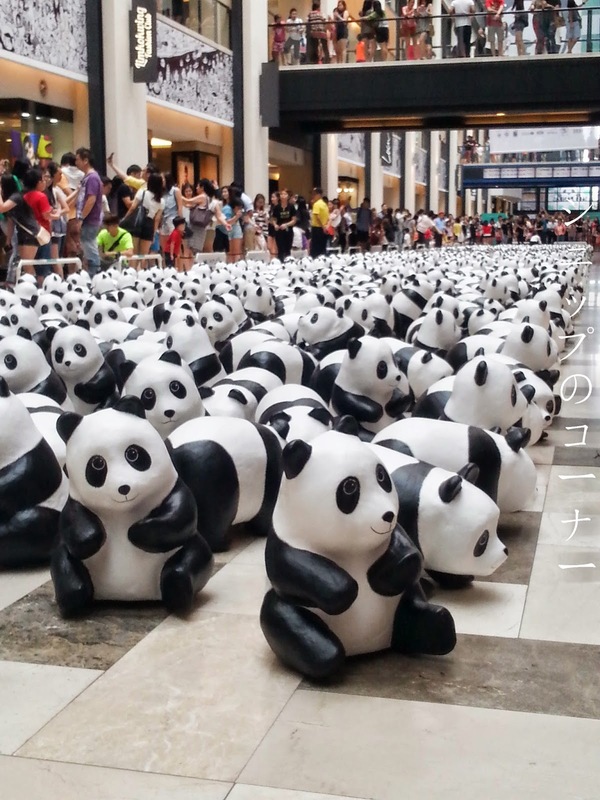 To get a picture with these 1,600 pandas in Publika, you'll have to fork out RM 10 for a printed photo, a single picture on your own device and a whole lot of joy to last you for days. Plus you'll be doing good as it goes to charity so what's not to like about that? 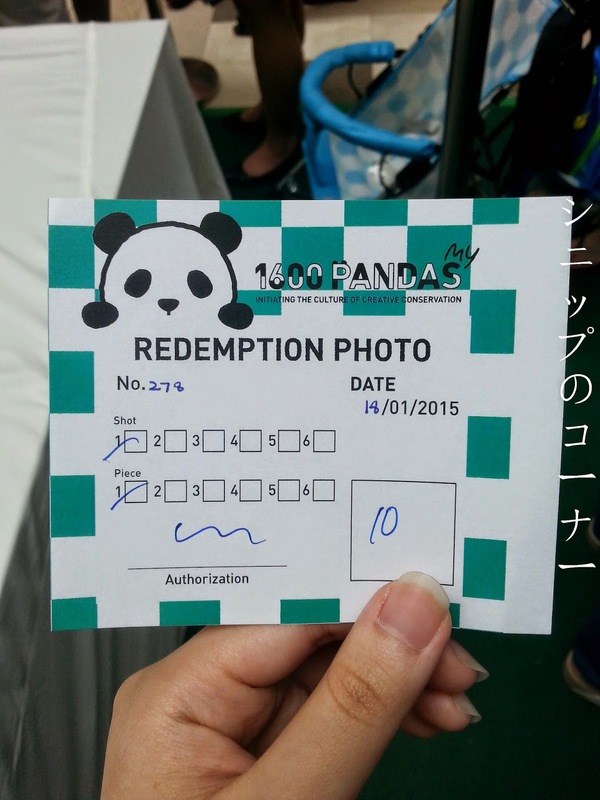 Every shot and print is RM 10. The wait however can take a while. 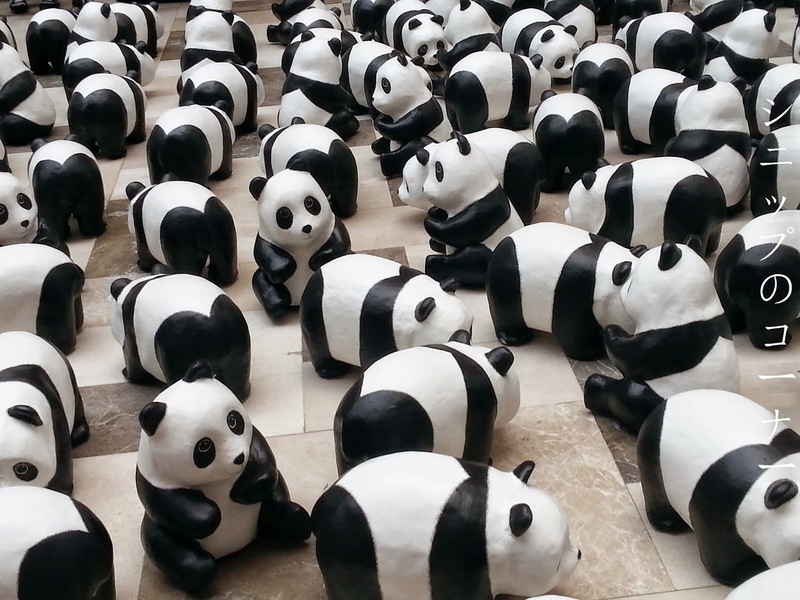 We lined up for a good hour to be with the pandas for...a minute. 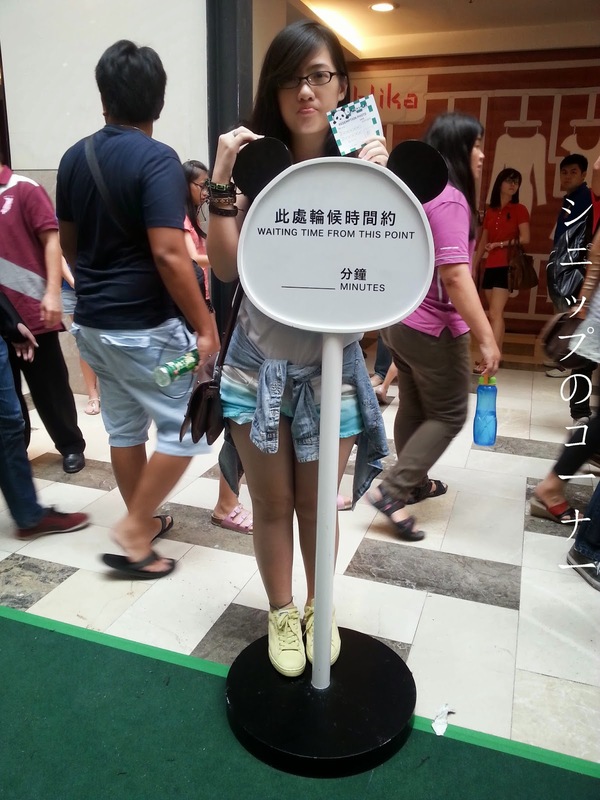 If you can't afford another shot for RM 10 and an hour's worth of lining up, taking pictures outside the cordon works too. I am also really lucky to have been there with 2 of my awesome friends, Stephanie and Weng Sum because the wait would have otherwise been horrendous. Tons of little screaming children and indifferent parents who think that they own the area simply because they're in line too. 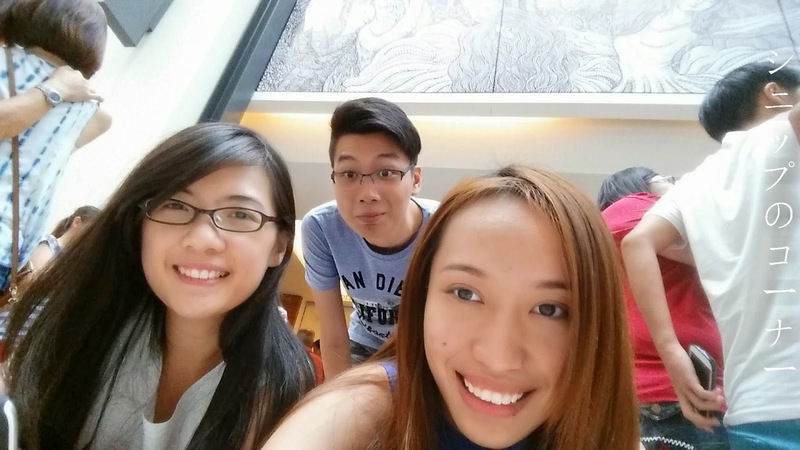 Just a random picture of us because there is otherwise no proof of us being there together. 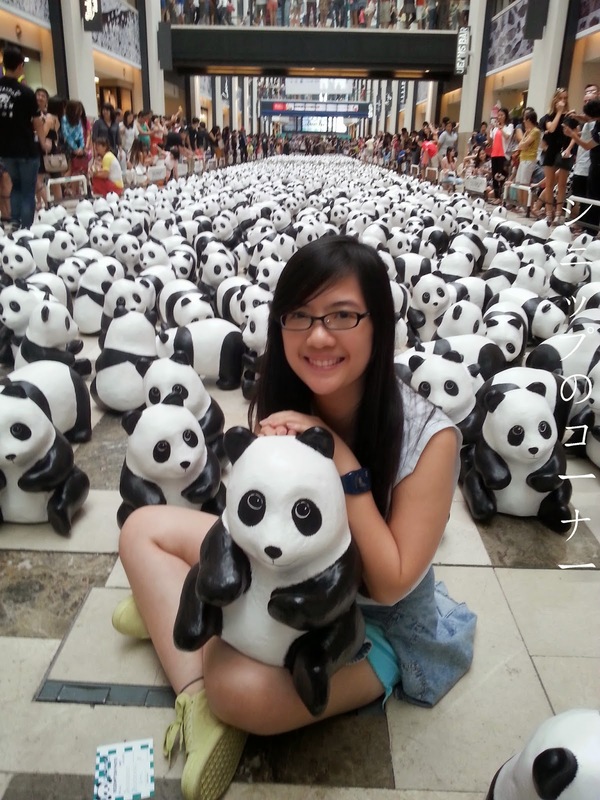 Click for a panaromic panda-perience! 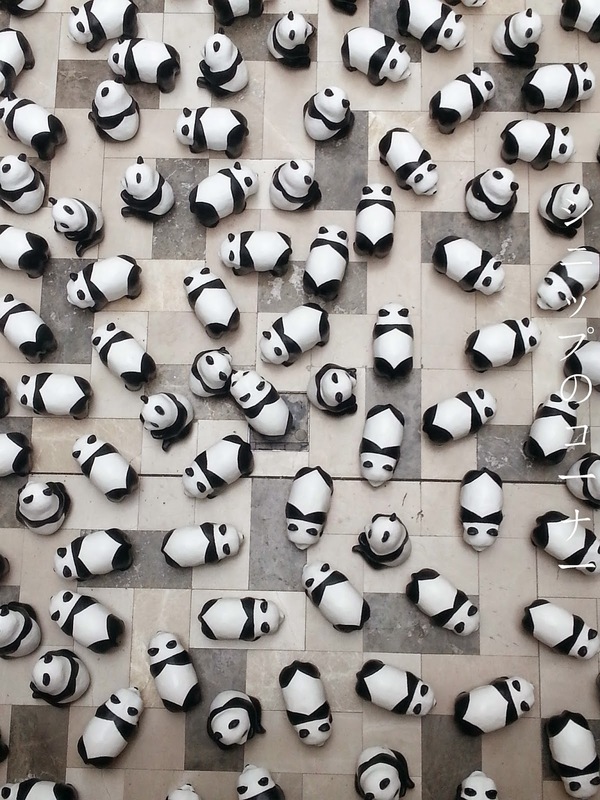 Do pay the pandas a visit if you're in KL from today on till the 25th of January because they're really adorable bits of black and white in Publika! It's really difficult to miss seeing as that they're smack in the middle of the establishment and there's bound to be tons of people regardless where you go but it's really worth a once in a lifetime visit. After all, how could you possibly say no to me? Hoping to drop by a few days later to update on another panda thing so wish me luck on workload and I'll be back real soon! 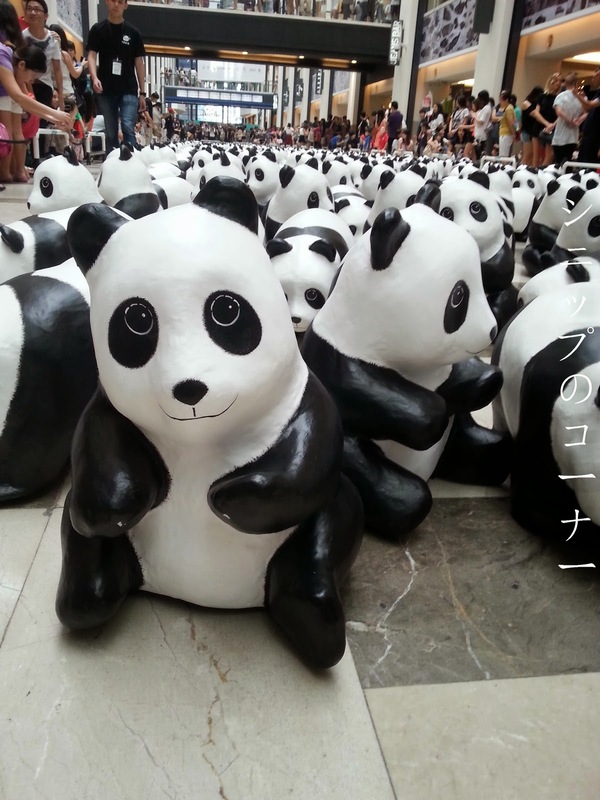 Till then, don't be a panda! 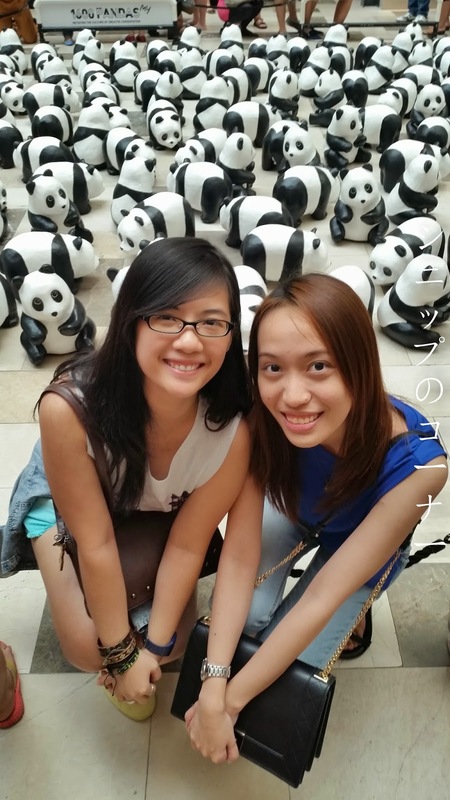 Special thanks to Steph and Weng Sum for several of the photos in the post.